Ok so it is early but Cheery Lynn Designs challenge this week is all about Easter http://cheerylynndesigns.blogspot.com/2012/03/cheery-lynn-designs-challenge-20-easter.html! 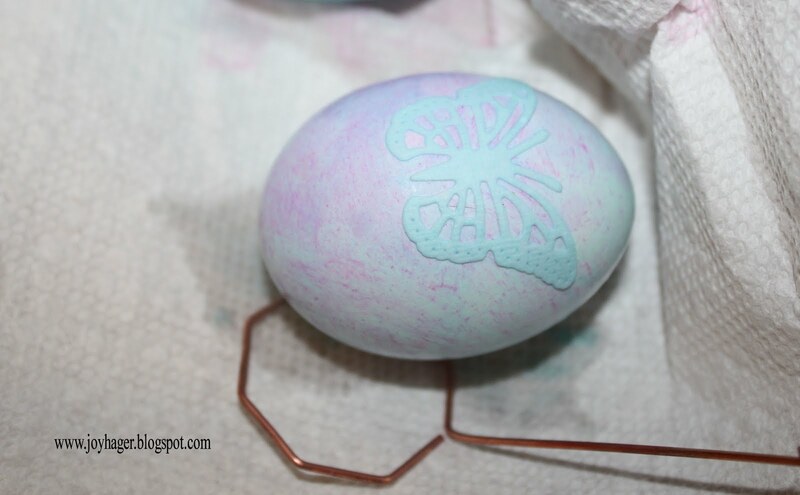 I thought it would be cool to use their die as a stencil to dye eggs and I am happy to say it worked!! 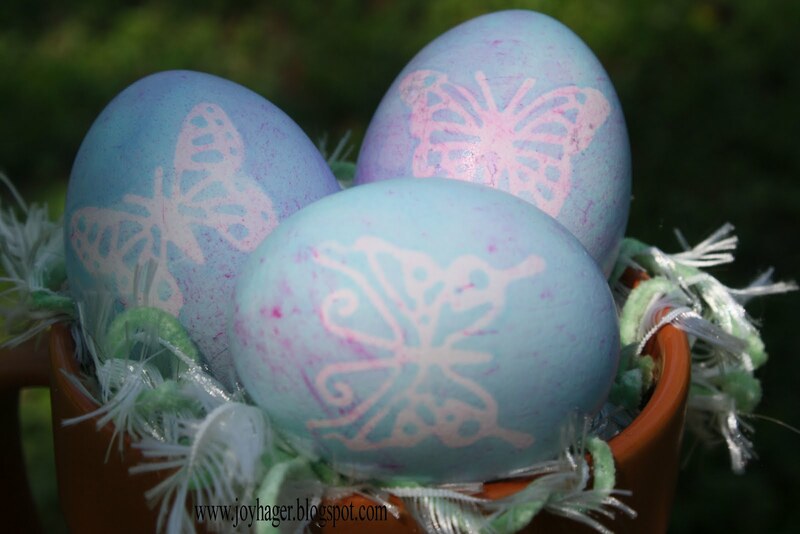 First I dyed the eggs light pink, stuck on the "stencil" (Die Cuts with a View Sticker paper cut with Cheery Lynn Designs exotic butterflies), then I dyed it again in the darker dye, then I just removed the die cut from the egg. Love how they turned out! What a fantastic idea, looks great. Thanks for participating in the Cheery Lynn Designs challenge this week. What a clever idea and quite pretty. Good luck and thanks for joining in on the fun at Cheery Lynn Designs challenge. Very original and a very cute idea!!!! Good luck and thank you for joining us at Cheery Lynn Designs.